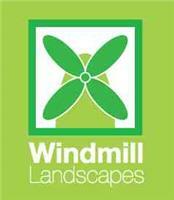 Windmill Landscapes - Driveways/Patios/Paths, Landscaper based in Brighton, East Sussex. Based in the heart of Brighton, Windmill Landscapes is a well established and thriving Garden Landscaping Company providing high quality Service at affordable prices. Ever mindful of the changing needs for both city and country gardens, we at Windmill Landscapes have a deep rooted belief in efficiency, ecology and minimal impact to the environment. With over 10 years of tried and tested practical experience of both city and country gardens, Chris Bryan and his team have a grounded, cheerful and easy approach to garden design and construction. From simply refreshing your outside space to creating something completely new (and everything else in between) let Windmill Landscapes help to create your ‘little piece of heaven’. ‘A well designed garden will always be a good investment adding value to your home and increasing saleability’.